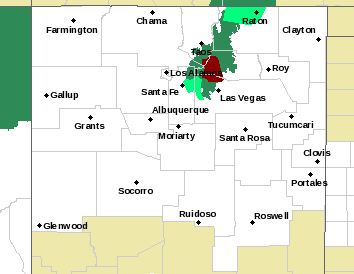 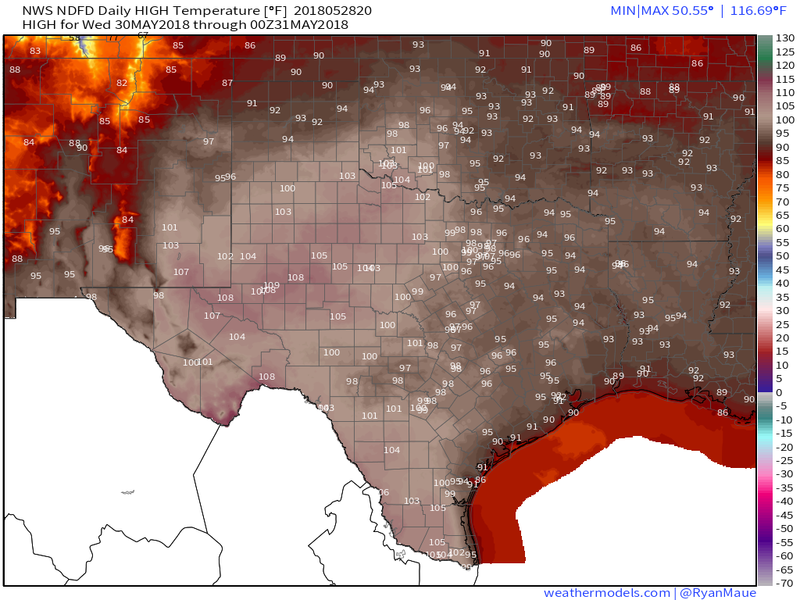 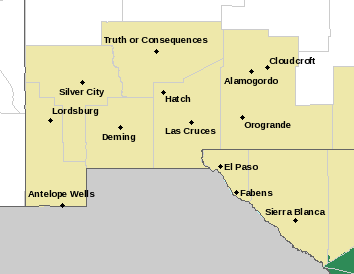 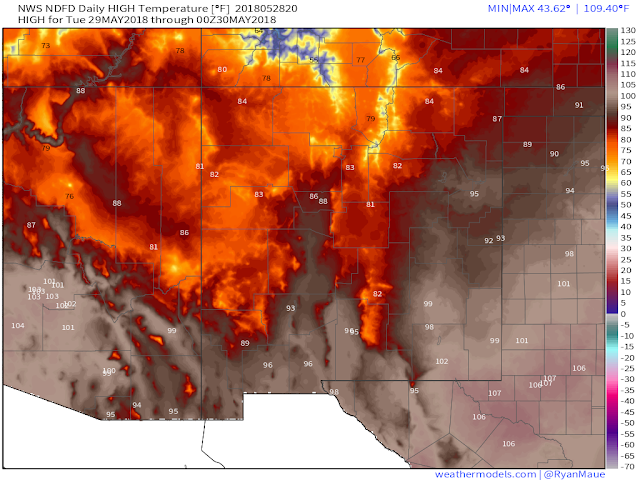 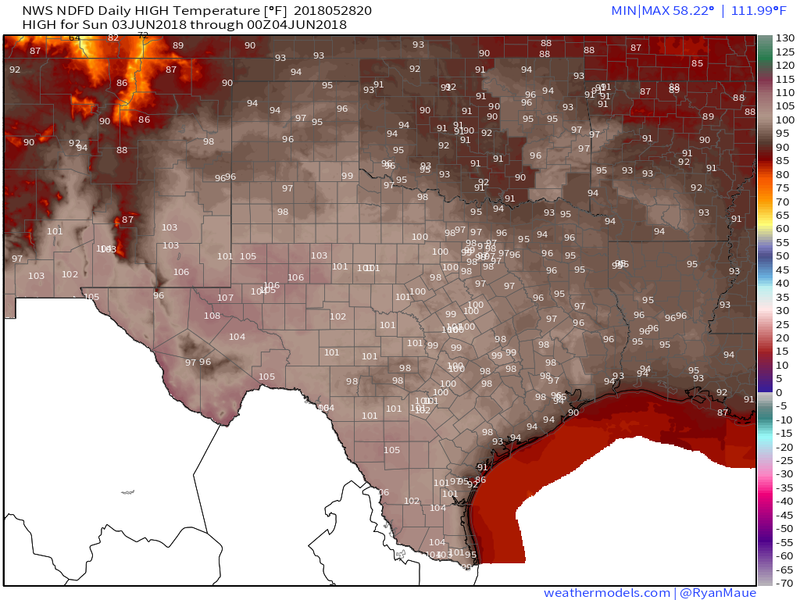 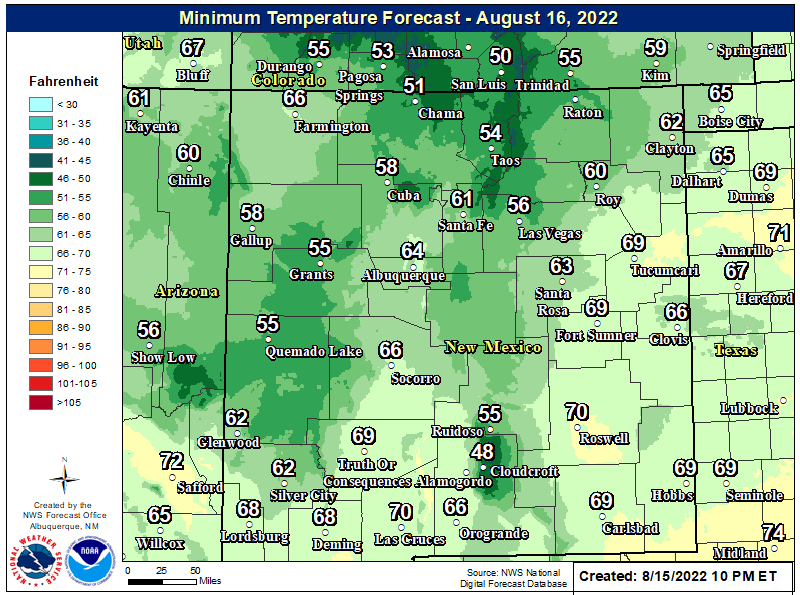 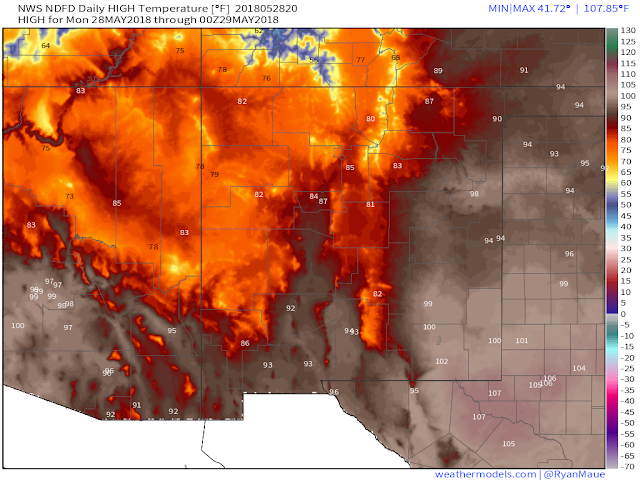 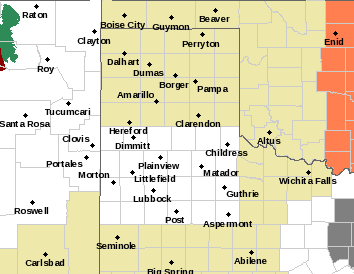 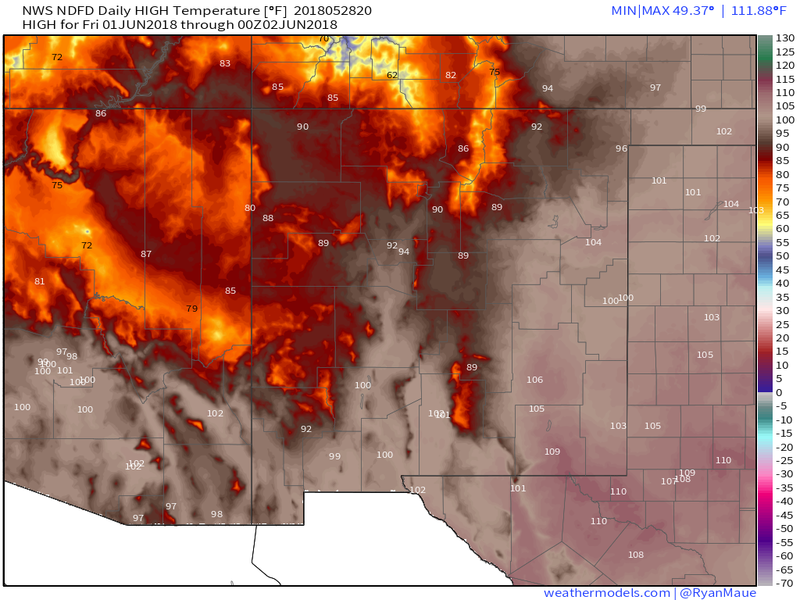 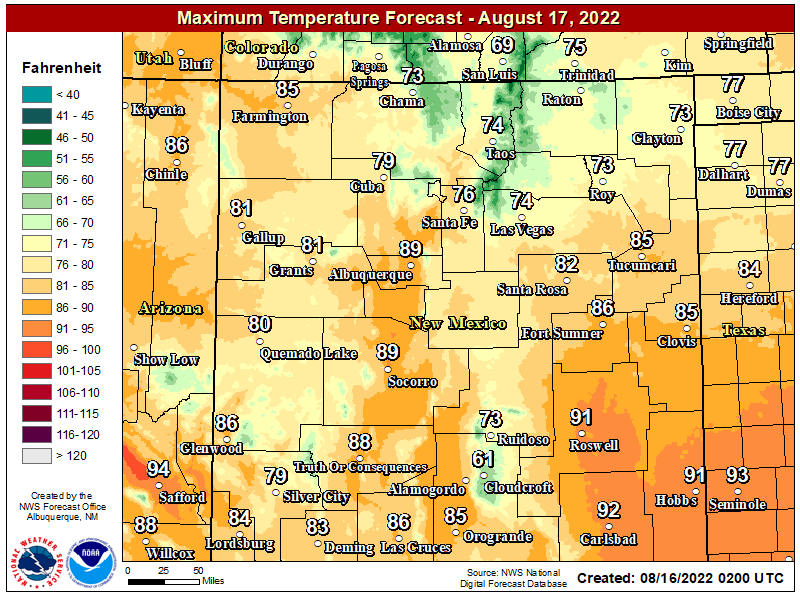 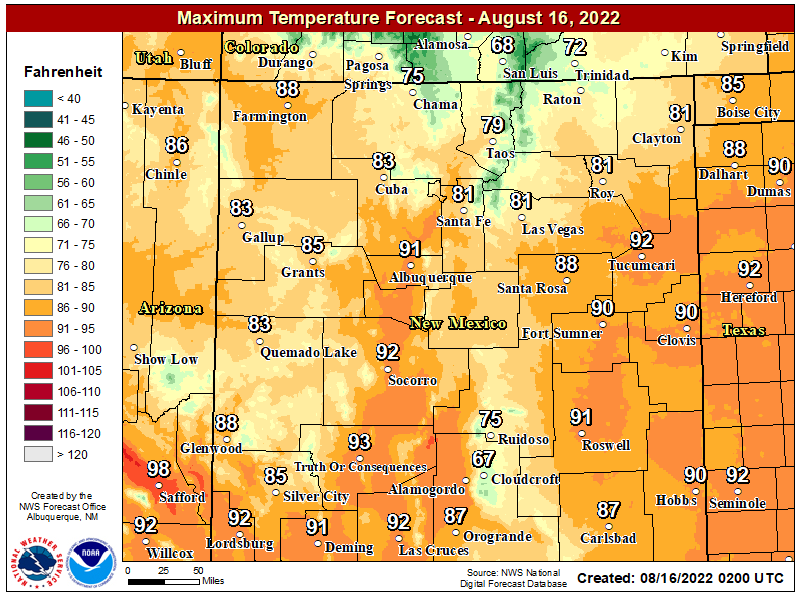 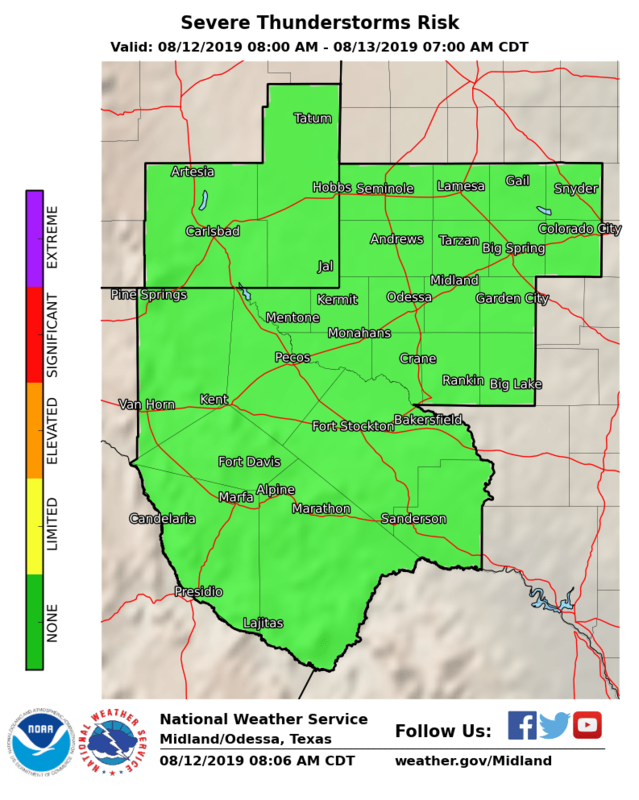 100º Temps Forecast For Much Of SE NM UFN. 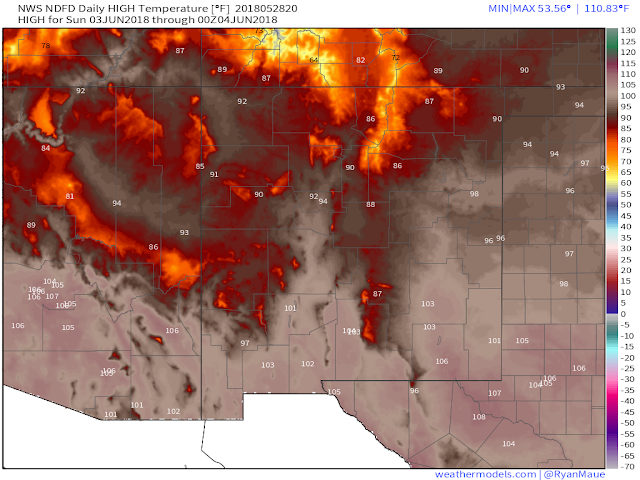 102ºF At Our Home As Of 2:52 PM MDT Memorial Day 2018. 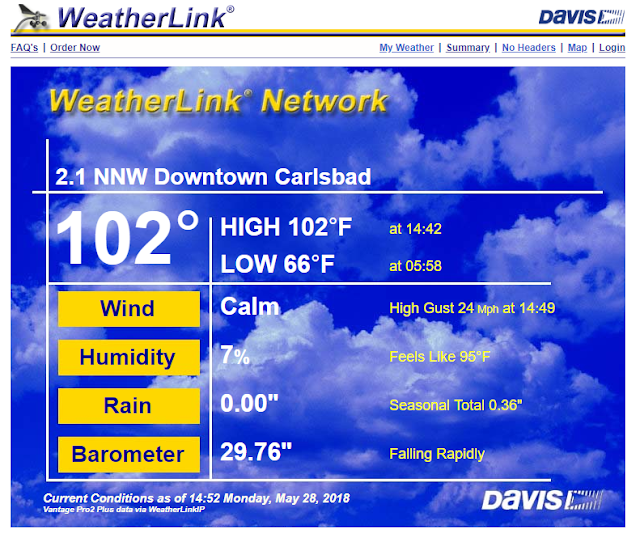 This past Sunday we topped out at 105ºF for the highest temp so far this month and year as did the Carlsbad Climate Co-Op Station. 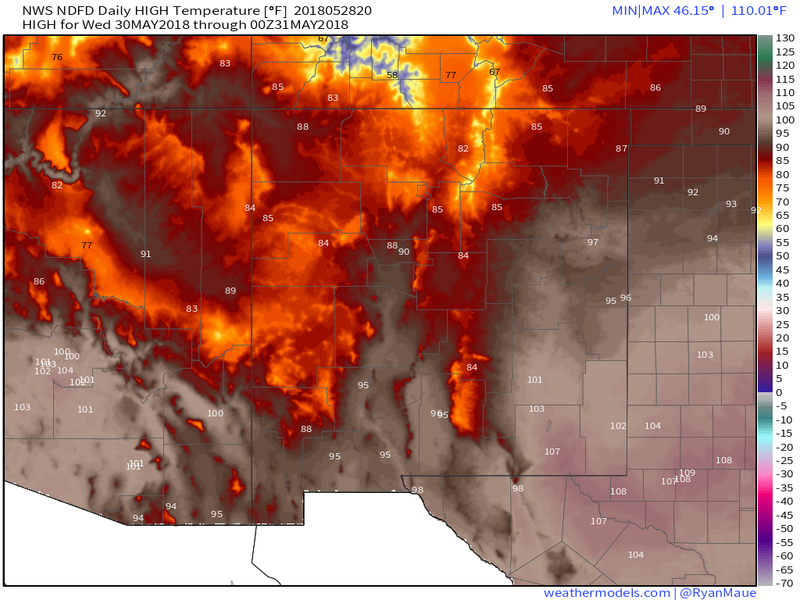 The Roswell Airport has reached 103ºF on the 10th and 17th. NWS NDFD 7-Day High Temperature Forecasts. Today - Memorial Day 2018. GEFS 16-Day Ensemble High Temperature Forecast. 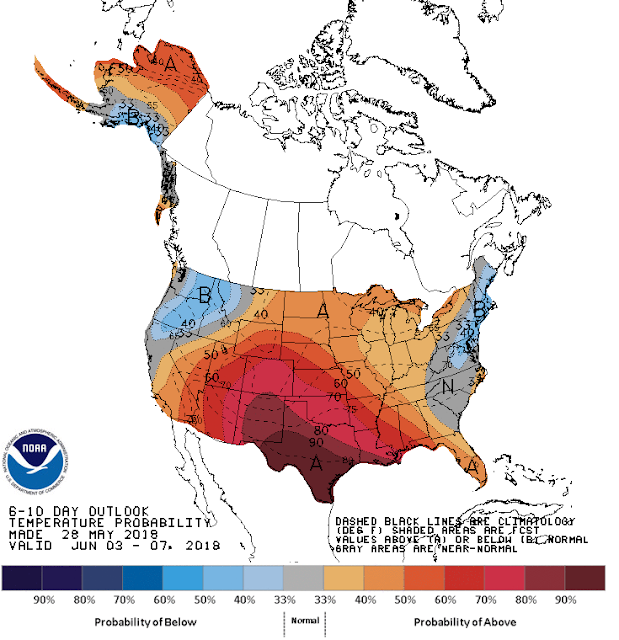 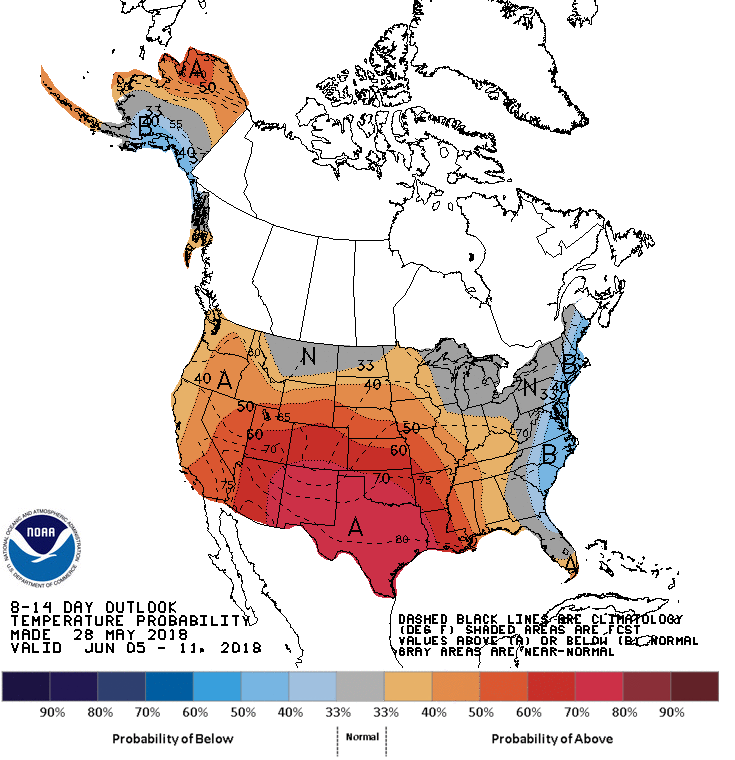 Climate Prediction Center 6-10 Day Temperature Outlook. Very Hot Week Ahead & Beyond. 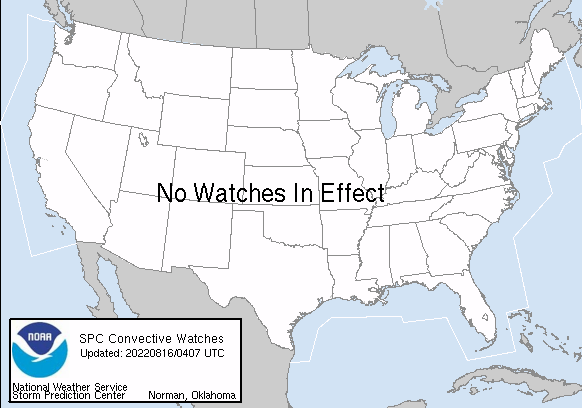 Same ol song and dance from the models with more of the same. Hot and hotter with not a drop of rain in sight. 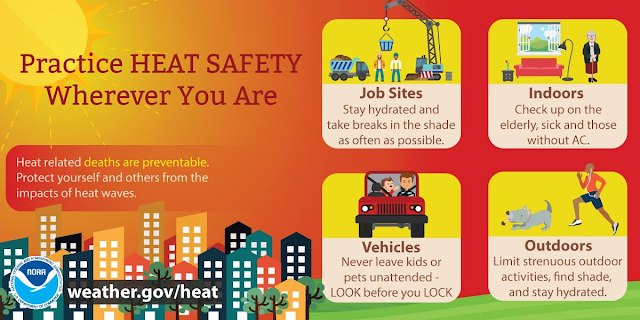 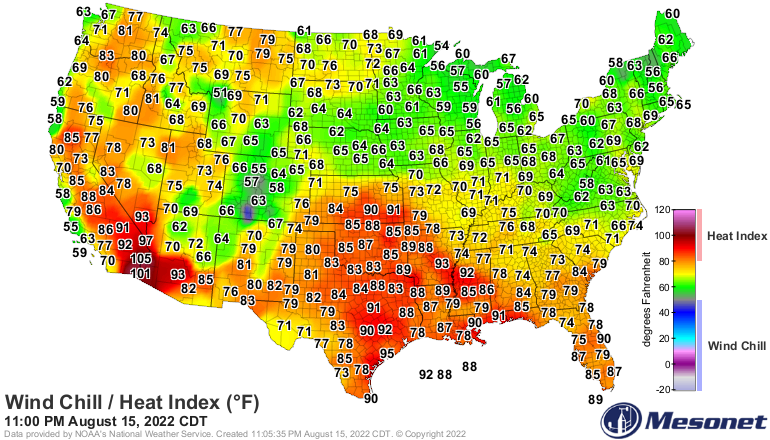 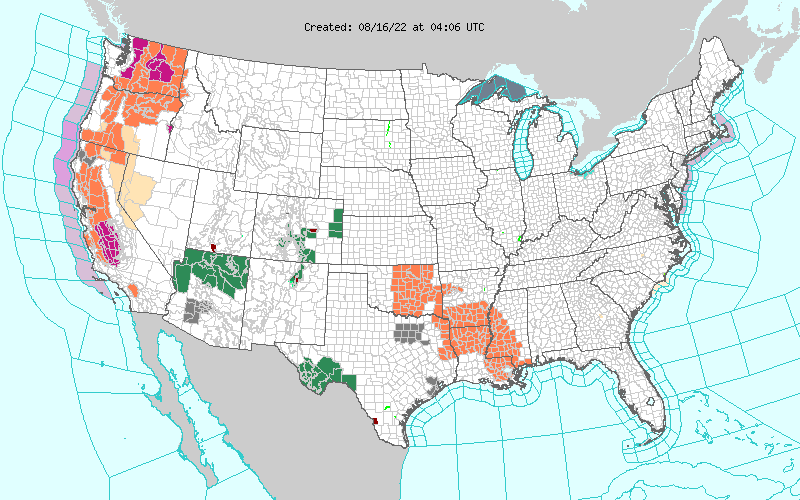 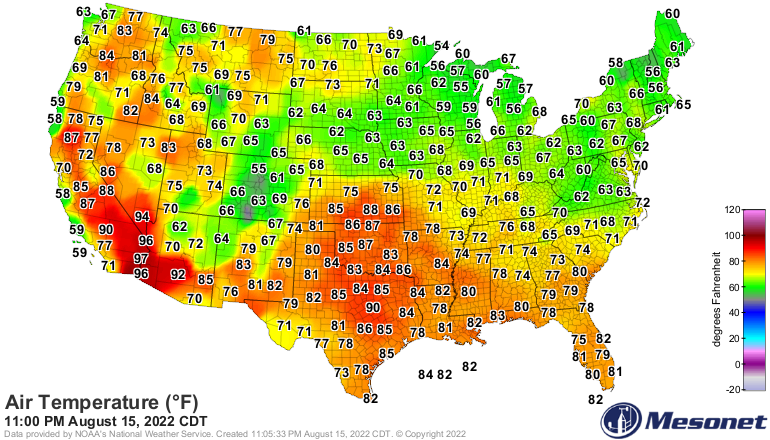 In fact Friday still looks like we may top 110ºF in a few spots including the Carlsbad area. 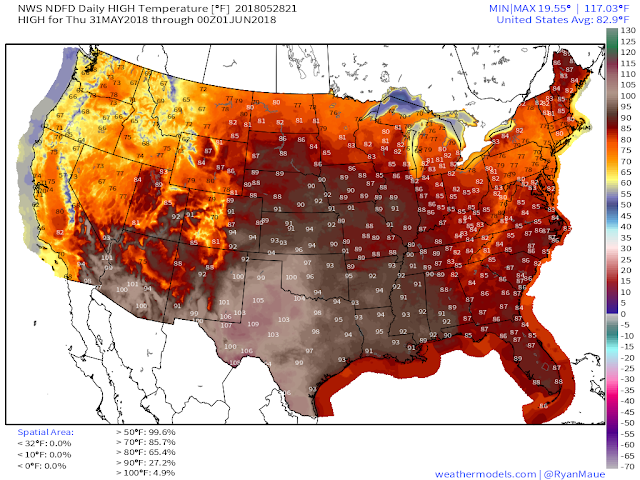 Friday will be June 1st so this will be a scorcher for the meteorological beginning of the summer. 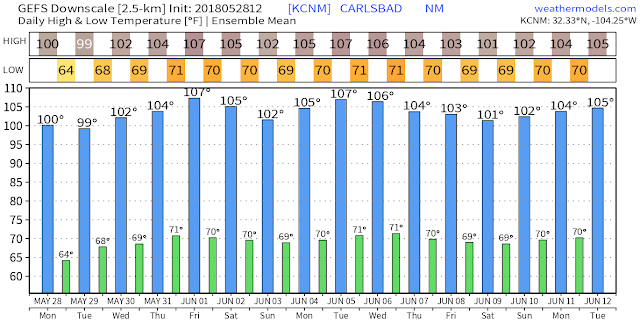 This mornings ensemble run of the GFS model keeps Carlsbad at or above 100ºF for the upcoming 16 days. 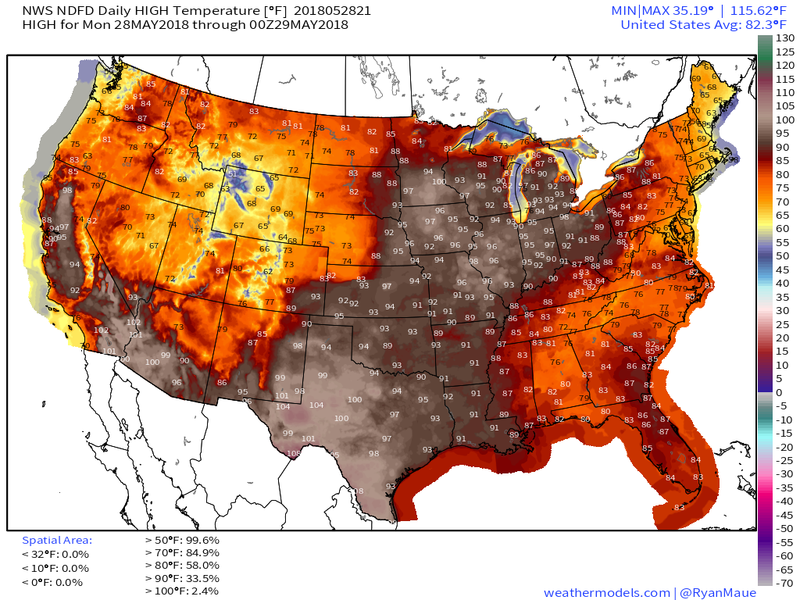 Daily record high temperatures will be threatened at times over the next week and possibly beyond.